According to the recently released "Benchmarks, Budgets, and Trends" report from Content Marketing Institute and MarketingProfs, 28 percent of B2B marketers don't measure the ROI of their content marketing. Failing to do so is a mistake, because tracking metrics — the right metrics — enables you to concentrate on the content marketing activities that most benefit your bottom line. To prove your content marketing effectiveness and see which content initiatives are worth your time and money, focus on these five metrics. A conversion rate is the percentage of users who complete an action after reading your content. This could be signing up for an email newsletter or filling out a contact form to send to the sales team. Google Analytics enables you to set this up by entering in goals. These can then be tracked to top-referring pages on your site, which can provide some powerful statistics. For example, let’s say you set a goal to register as a conversion every time someone reaches the /thank-you/ page on your website, which is only triggered after they enter their contact information to download a whitepaper. If you get 1,000 visits to the whitepaper download landing page, and 50 people submit their contact information, that would be a conversion rate of 5 percent. This data is direct proof that your content is driving leads. To make your Google Analytics data more accurate, make sure your tracking code is accurate and you are filtering down your views into demographics. This gives you the most accurate view of your data. B2B email marketing databases decay by about 22.5 percent every year, HubSpot reports. To combat this, marketers need to be constantly growing their email subscriber list. This is an important metric to track to see if you're producing compelling content that drives email newsletter subscribers. To measure this, look to your email service and analytics. Many services allow you to use customized newsletter subscription forms for each piece of content you create, so you can see which content earns you the most email subscriber growth. 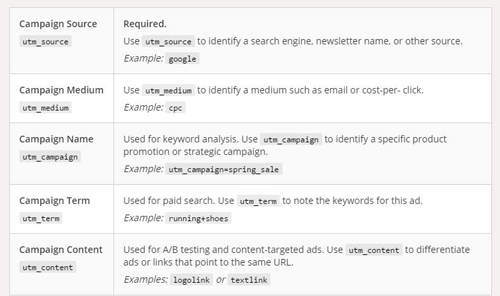 Combine this with UTM codes on all your URLs to make sure they are tracking correctly in Google Analytics, and you can see exactly which pieces of content are driving the most email signups. If your email provider doesn’t automatically add UTM codes, you can add them yourself using the free URL builder from Google. + Recommended Resources: HubSpot, MailChimp, Emma and Constant Contact are good email marketing platforms that give you tons of data on your email marketing campaigns. Eighty percent of B2B marketers are focused on lead generation as a goal of their content marketing, according to the same CMI/MarketingProfs report. Tracking which content generates the most leads helps you shape your editorial strategy for future content. If your whitepapers are generating three times as many leads as your SlideShares, for example, you're going to want to produce more whitepapers. First you have to define what actions constitute a lead. Most companies define a lead as someone who fills out a contact form to download gated content, request more information, sign up for a free membership or test drive your product. Then determine how many people went to the lead form straight from your content. You can do this with a CRM with embeddable sales forms, such as HubSpot. It shows your leads' journey through the process. You can also set a browser cookie to track when someone fills out a lead form after consuming your content. + Recommended Resources: Google Analytics is good here, as well as the sales CRM platform you use to track leads (think HubSpot or Salesforce). Try to use a CRM that also connects with your email platform and website contact forms (Zapier can build these connections as well). •	Unique pageviews. One way to measure the effectiveness of your content marketing over a period of time is to compare monthly traffic in Google Analytics to the same month the year previous and then the previous month (so you'd compare October 2016 to October 2015 and September 2016). This gives you a good idea of how your traffic is doing over time and in the last 30 days, and then you can examine your content over the same periods of time. •	New visitors. Similarly, check if new visitor traffic correlates with new pieces of content on your blog. •	Referral traffic. Look at traffic coming from inbound marketing efforts, such as a guest blog post authored by a company thought leader. 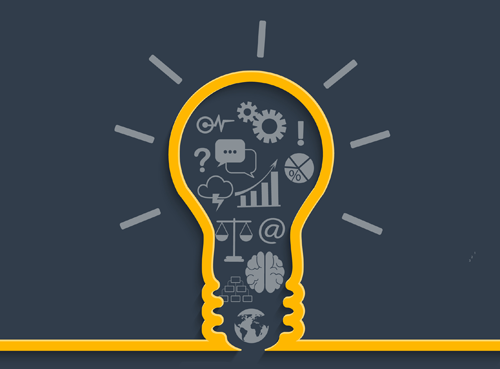 + Recommended Resources: Again, Google Analytics is the go-to here. SEO tools such as Moz, Ahrefs and Majestic help you track inbound links. It takes about four to five interactions with your content and brand before people buy, according to a NetElixir study reported on MarketingSherpa. The more a customer sees content from your brand in their RSS subscriptions and through email, organic search and social media, the more likely they are to buy. This is because repetition breeds trust. If your company puts out high-quality, interesting industry resources that help people, those people are more likely to turn to you when they need to purchase a service you offer. They'll see you as a thought leader, a company that's knowledgeable in the space, and likely to have created a product they would find useful and enjoy using. + Recommended Resources: Use a tool like SocialMention (free) to track brand sentiment across social media. You can also use Twitter Search (see image) or a social dashboard like Hootsuite to track your hashtags and usernames across platforms to see what users are saying about you. Additionally, help desk software like Zoho, FreshDesk or Zendesk can not only track customer support inquiries, but it gives the marketing team valuable information as to what customers have problems with (or what they really like). The benefits of content marketing, such as better results in search, higher conversion rates, greater quality of sales leads and boosted brand sentiment, make it hard to refute spending more time and budget into creating content. Use the resources and metrics above to track its success and inform your future strategy. You'll not only grow your sales and online presence, but you'll be able to create content that's useful for your target audience. Joe Griffin is the co-founder and CEO of ClearVoice a content marketing technology company for high-quality blogs and content destinations.